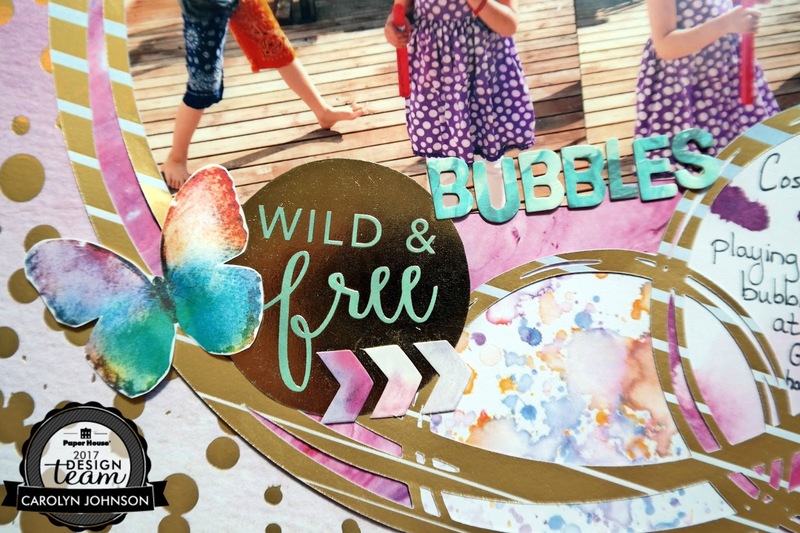 Ramblings of a Winnipeg Mommy: Beautiful Bubbles Layout for P.H.P. Beautiful Bubbles Layout for P.H.P. 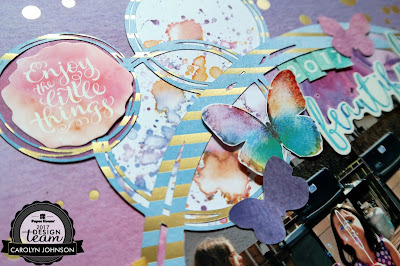 I received the Color Washed Paper Pad from Paper House Productions and it is a stunner. 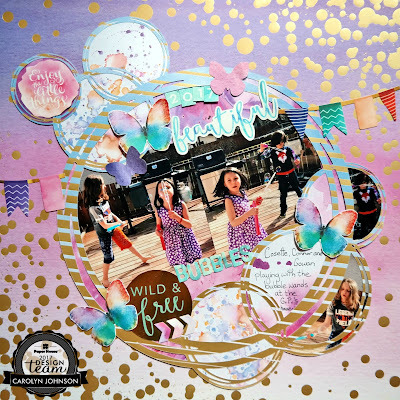 There is so much gold foil! 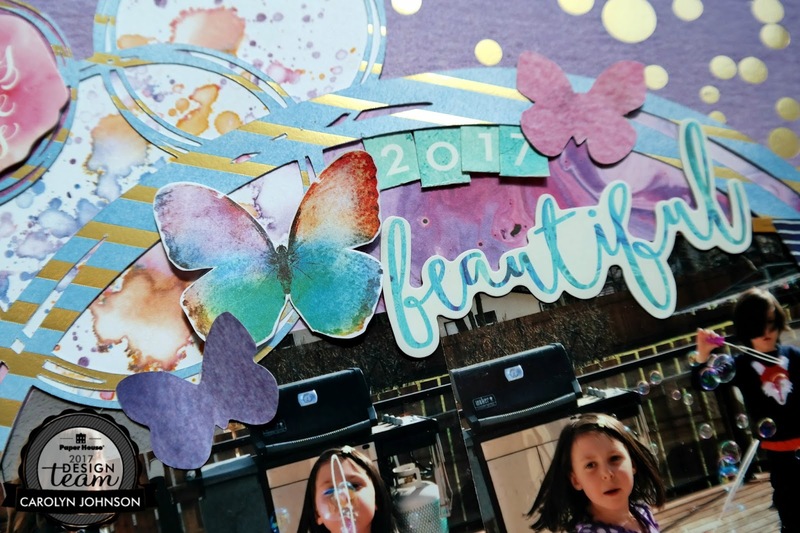 I made this bubble layout with my daughter in a purple polka dot dress because the paper pad has these gorgeous purple papers (which are not that common). I used a free cut file from Paper Issues and a few butterflies from the Paper House Productions Butterfly Project Pad. 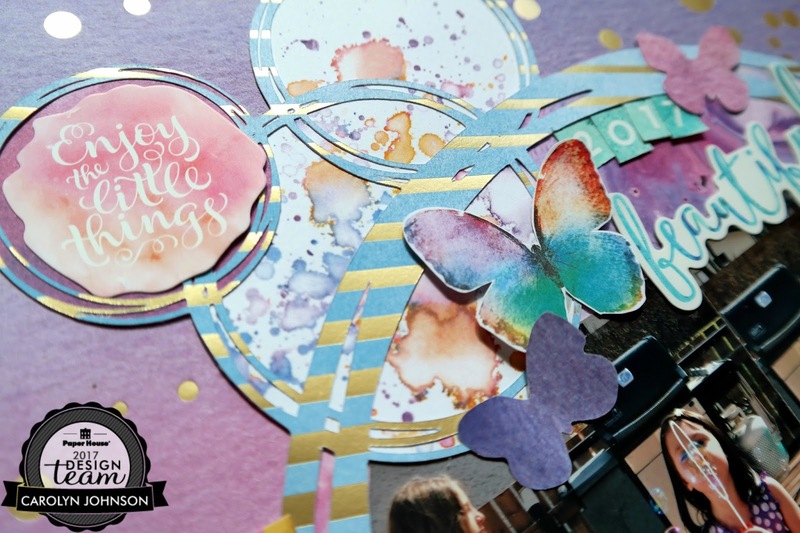 All the embellishments and the title can be found in one of the paper pads making this an easy project. I didn't have to hunt through my stash to find stuff. Witches Gulch Layout for P.H.P.